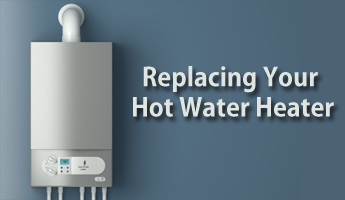 Like any other appliance, hot water heaters can break down over time and need to be replaced. It is difficult to take a cold shower, especially in the winter months. Therefore, it is annoying if your water heater stops functioning. However, water heaters do give out certain clues and warnings that all may not be fine with it. The following are clues that you must look for, that suggest that your water heater is breaking down. As a rule, a tank style water heater lasts for 8 to 12 years. The older the water heater is, the more likely it is to break down. Proper care and maintenance can prolong the life of the device, but its use is only for a certain period, after which it has to be replaced. The serial number on the manufacturer’s sticker will tell the age of your water heater. You can check the manufacturer’s website to understand the serial number and gather the date of manufacture. Generally, any water heater that is being used for more than 10 years must be considered for replacement. The tank is made out of steel and repeated exposure to moisture will lead to rusting. If you see rust or corrosion near the temperature and pressure relief valve or water inlet/outlet connections, then it is an indicator that the tank is rusting. It will be a matter of time till your tank starts to leak. Rusty water coming out from your tank is another sign of rusting. To check this, try draining your tank with five-gallon buckets of hot water. If you see rusty water by the third bucket too, then it’s a definite sign that there is rust. You must install new water heater immediately as leakages from a rusting tank may cause damage to your home. Over time, sediment can settle at the bottom of the tank. This is a problem for heaters as it can clog the drain valve. Flushing your tank can reduce this problem, but it will not work if the sediment has reached high levels. The sediment in the tank can create noises when the tank is heated. If this sediment hardens over time, every time the tank is heated there will be rumbling noises coming from the tank. The hard sediment layer would mean less efficiency as more energy goes into heating water and more damage as extra heat will damage the tank. There may be a problem with the heating element or the electric thermostat if you get cold water from the hot water tank. When you see this happening, its best to call a handyman for service or replace the device as advised.